Prof. Marian Schneider Memorial Prize 2011. It gives me great pleasure to nominate a well known, popular and respected person, Mr Eugeniusz Filipczyk for the Professor Marian Schneider Memory prize. Mr Eugeniusz FIlipczyk was born on the 14th of April 1940. After graduating from high school he studied at the Faculty of Metallurgy of the Czestochowa University of Technology, graduating with the title MSc as a specialist in metal plastic working. After graduation he worked as a technologist for the Screw Factory “BISPOL” in Bielska Biała. Then from the mid sixties he worked in the Plant “Komuna Paryska” – Radomsko. This Wire Factory, which was part of the French join venture “Metallurgy” before World War II, with over 90 years tradition, manufactured a wide range of wire of low carbon steel, non covered and galvanised, welding wire and patented steel, nails and barb wire. This period made the candidate associated permanently with metallurgy. He participated in developing the “Komuna Paryska” plant, presenting himself as a good manager, organiser and precursor of technical progress. Modernisation of a drawing plant and building a modern nailery are some of the new development directions implemented in the factory in cooperation with “Universal” head office in Warsaw. It should be pointed out that the said development directions were original and required modern machinery park as well a highly qualified staff. It is also worth stressing that the amount of processed wire rods amounted to over 300,000 thousand tons in a year and every third nail was produced in Poland. For the candidate’s organizational abilities he was chosen for training in the USA, working for a Polish trade company “Borneo-Sumatra”. 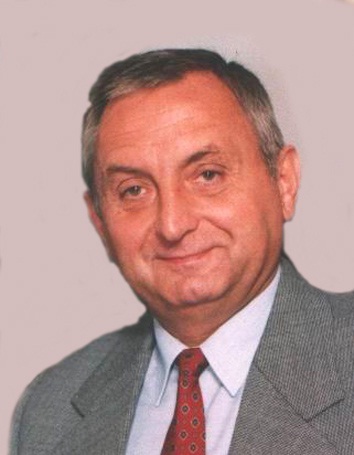 In 1974 Mr Filipczyk was transferred to the Wire and Rope Factory “Drumet” in Włocławek, to work as Production Manager. As a matter of fact, when he accepted the job, the factory was in the process of complete modernisation. The biggest plant equipped with most modern equipment and machines for making steel patented wire, ropes, non covered and galvanised wire, wire ropes, spring wire and wire for staples used in the furniture industry was built. Mr E. Filipczyk paid special attention to modern production, ecology, product quality, plant image, and social support of employees. It is also important that the candidate actively participated in implementation of any technical innovations worked out in CLPWN, AGH and the Czestochowa University of Technology. The picture of the candidate wouldn’t be complete if we didn’t mention that for his achievements he accepted the post of Production Director and then the President in Drumet upon ZPWM recommendation. Organisational changes in the ZPWM in Cracow decided that Mr Filipczyk was transferred for a short period of time to Cracow to hold the position of Production Director in ZPWM. In 1990 he returned to his former position as President of the Wire and Rope Factory “Drumet” SA in Włocławek and after transformation into a joint stock company managed it as the President. This period of working in “Drumet” was the nicest picture of his activity. In 1999 he created a joint stock company called EFMETAL in Włocławek. It sells conventional ropes, ropes for the fishing industry, hoisting ropes, non-spinning ropes, general-purpose ropes, construction ropes, PVC-shielded ropes, stainless steel ropes, rope slings (single-leg slings, multi leg slings), Grammet laid rope slings, chain and belt slings, and rope, and chain and rope accessories for the domestic and the European market. The implemented certificates ISO:9001:2001 (since 2005) and DIN CERTO (since 2002) guarantee the quality of these products. To conclude my speech I would like to mention once again that Mr Eugeniusz Filipczyk entirely deserves the Professor Marian Schneider Memorial award.